If an owner wishes to undertake works that fall within the remit of the Party Wall etc. 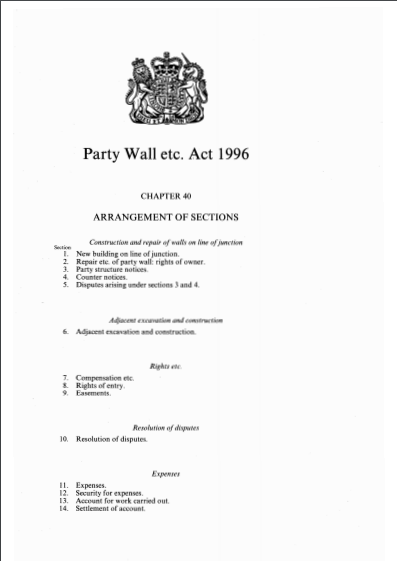 Act 1996 then it is their statutory duty to inform their neighbour(s) by serving a party wall notice. DO YOU INTEND TO CARRY OUT WORK WHICH INVOLVES: ? If you’ve answered yes to any of the above then the Act does apply, and you must take action. * The information provided here is for general guidance only. Please contact a Faculty Member for specific professional advice. Party Wall etc. Act 1996 – What do I need to do? 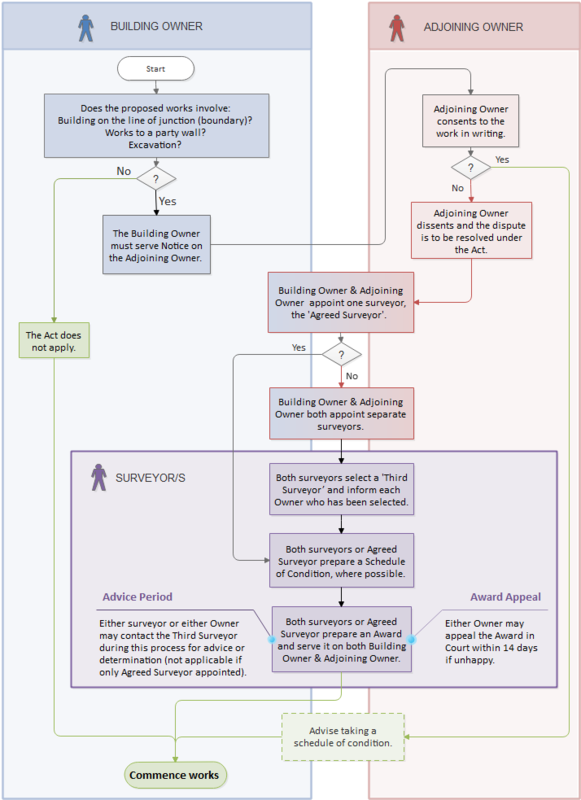 If you are planning to undertake any building works, the following flow chart provides an overview of the process you will need to follow. This is provided for general guidance only, please contact one of our members for expert advice specific to your needs. Note the following flowchart is best viewed on a larger screen. Click here to download a pdf version. You are unable to rescind his appointment but you can approach the third surveyor to resolve the matter for you. However, if you have chosen to have just the one surveyor called the 'agreed surveyor', then there is no third surveyor to call upon. This is why you should take care in selecting a surveyor and more particularly as to whether you just need the one 'agreed surveyor'.